You’re probably an Indian citizen and you travel using your motorbike, scooter or car. You’ve seen the traffic police checking the driving licence for road safety purposes. Say a traffic cop stops you and asks for your driving licence. And you find out that you forgot to carry it along. Having the electronic copy of the licence in your smartphone will save you in such a situation. 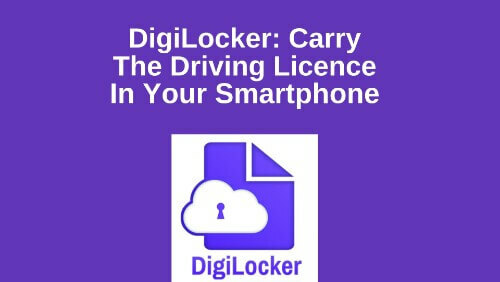 The Road Transport Ministry of India has announced the use of DigiLocker to help curb these issues. 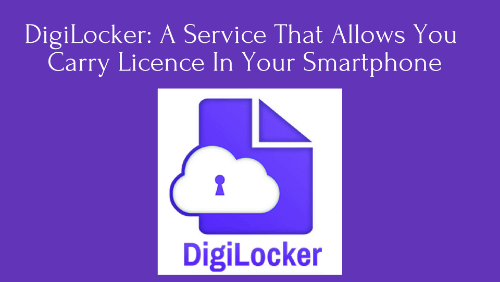 DigiLocker is is a digital locker service by the Government of India. It allows the Indian citizens store documents such as Driving Licence on cloud. The Road Transport Ministry has asked states not to insist on original documents such as Driving Licence and Registration Certificate. They will be valid in electronic format too. DigiLocker or mParivahan will need to authenticate these documents once. Note that you’ll need to have DigiLocker or mParivahan app on your smartphone for this system to work. That’s it. Once you have your documents in your smartphone, you’ll need not carry the original ones. Traffic police will be able to record the violations by logging into the Central Database. The QR Code on electronic documents will not require them carry away the originals. Also read: How QR Codes can help City Admins make citizens’ lives simpler. This step will not only allow you carry the electronic documents. But will also help reduce the number of ‘lost’ cases for such original documents. This is one way how Police across the world are making attempts to help citizens.